In five days from the time of writing this, it will have been five years since I attended my first and only Skitzo Calypso concert. 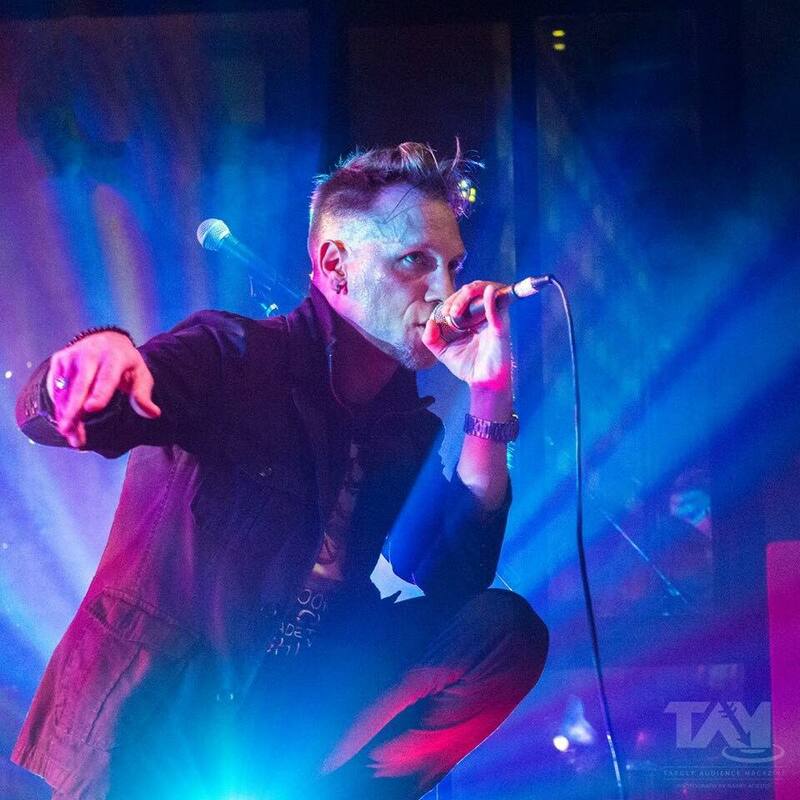 A few months following that performance, I would have the opportunity to interview frontman and singer-songwriter, Brad Cox, for the first time. Over the course of these last five years, the group has peaked its head up here and there, putting out singles and an EP, but otherwise laying low. In their stead, Cox had been keeping busy with a project entitled We Love The Underground, which I have followed intently. But now, as The Underground are on a hiatus, Calypso has returned with a new song, entitled “Reaching For An Emerald Sky,” and teased news of more studio work in progress. Once again, I have the distinct honor of speaking with Brad about his current happenings. Brad, Skitzo Calypso’s first album Join The Cult came out in 1998. Now, marking the 20th anniversary of that release, the band has released a new single with more material on the way. What can you tell us? Had this reunion been in the works for a while, or is it just remarkable timing? The reunion kind of happened to us. It’s all been a relatively fate-driven event. If I’ve learned anything over the years, it’s that music happens when it’s supposed to happen. The unnecessary trademark debacle really wasn’t what lit the fuse, nor was it the timetable [20 + years]. Basically, as one project was disbanding, certain elements unfolded [almost in tandem] that made this one possible. One of the things I really wanted to convey on this record was the dark side of dream-chasin’ and/or success depression. You can have it all and still feel just as isolated and empty as you did when you started; until you tend to whatever negative elements lurk inside you, you’re never really going to be finished. To that end, and to loosely quote Steven Tyler, ‘how many years will you waste doin’ what you’ve always done to get what you’ve always got?’ That’s the question this album will explore. Unlike previous singles that have come out throughout the last few years, the band has made it quite clear that this isn’t a one-off get-together. In fact, there’s a new album in the works. Can you share any details about it with us? Sure. The goal with this effort and whatever it ends up being is to bring it all home – that includes bringing in some of the people that made it all possible. We recently completed a track with Cherry Teresa, who was a big part of the band [2001 – 2004]. It may seem like a small window of time, when you consider the band’s existence, but it was a very impactful period [for us] and she was very much a part of that. 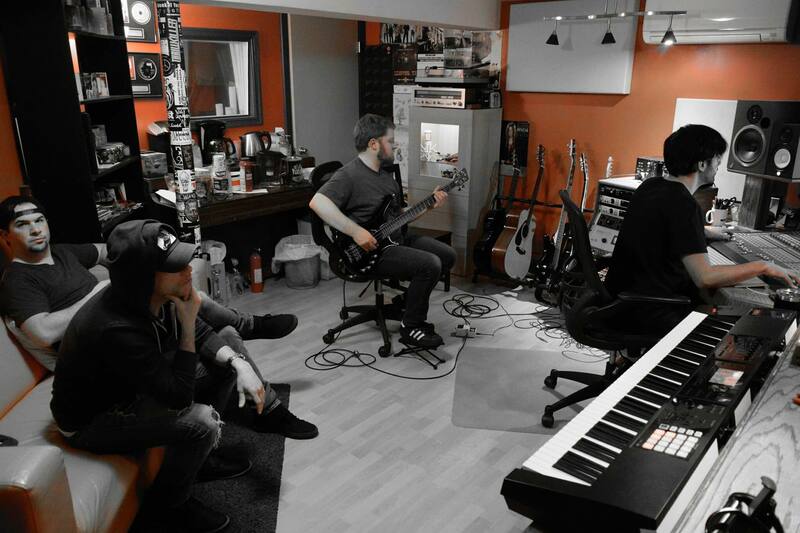 We also brought in our former bassist [Zeke Johnson] for a rather thunderous track. To the point you were making, about ‘making it clear that this isn’t a one-off get-together’, we’ve been very conscious about making sure people realize that we’re not just going to record a song and dip back into obscurity. So, we’ll be releasing snippets, pieces of artwork and announcing shows along the way. The goal is summer . This reunion is stage-bound soon? What most excites you about the music you’re making right now? A lot of times, you reflect on what you’ve done and can find yourself dwelling in that headspace, but I really feel like I’m not only growing as a person, but also a musician and that a page has turned; it’s possible to reflect and move forward, with your eyes only occasionally glancing into the rearview mirror. I have a clearer vision for where I’m going and it’s fueling a ton of new ideas. None of us wanted to be tied to the past. One of the things that turns my stomach is watching bands who try to rewrite their catalog and release the same music they did when they were kids; like they’ve become so hogtied to their brand that they can no longer see why they started making music in the first place. Along the way, their souls just died. For us, it’s just the opposite. We may even alienate some of our diehard fans, but that’s been the trajectory we’ve been on since the late 90’s. This time, we’re really going to push that envelope and test the patience of our ‘fans’. 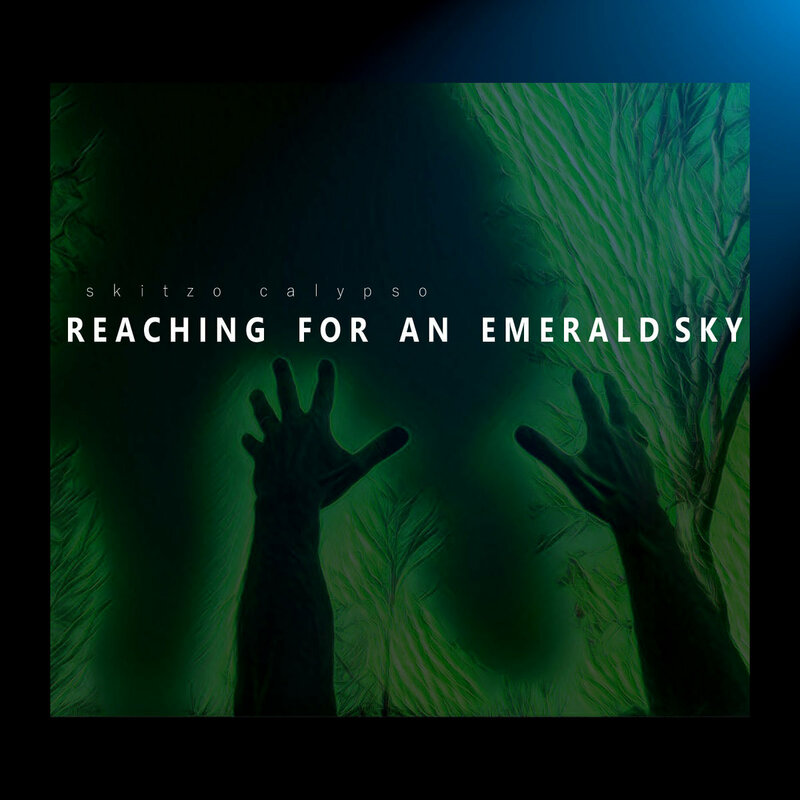 Tony Correlli, your longtime producer and collaborator, added synths to “…Emerald Sky.” While not an official Calypso member, will we see more of him on the record? The intro riff of that tune started with something Bryan [Holmes, guitar] had been fidgeting with and will be tasked with performing live. I brought in the initial verse/chorus progression. From there, we literally just started throwing riffs around [in messenger] and forming the bedrock of what became “Reaching for an Emerald Sky”. Pat [Sise, guitar/bass] had a big part in deciphering and adding to those ideas and structuring the tune out. Gary’s [Holmes] instincts on the drums brought it all home. We just decided it would be more of a departure to introduce different elements – we wanted to explore that. That said, Tony has a way of translating our ideas when we’re not always able to explain ourselves. Whether he’s a prominent figure in the band or not, he’s always a huge player in the end-product and I anticipate you’ll be hearing more from him as the process unfolds. While on the subject of Tony: how did that relationship form and become what it is today? Well, back in 2002ish, we found ourselves looking for a new producer. The producer I’d worked with on the first couple albums was charting a new course [in music], so we began exploring our options [as well]. At the time, one of my good friends had recommended John Grant of Secret Sound Studio, which is where we recorded the bulk of ‘The Shattering’. He did a great job capturin’ the feel we were goin’ for, but we still found ourselves curious to see who else was out there. From there, we recorded the majority of the next record, ‘Between the Lines & Beyond the Static’ with Drew Mazurek – another excellent Baltimore-based producer. At some point [in all of that], John Grant and Tony Correlli had joined forces. During a session in 2008 and after returning to John Grant for ‘Burning Down an Empire’, Tony Correlli was filling in for John [one night] and got us a final mix for a track called, “Until My Heart 5tops Beating”, which actually wasn’t officially released until this past year [on Ghosts: The Beyond]. Sidebar: It was marked with a ‘5’ because it was originally intended to be featured on a follow-up album called, ‘The Skepsis of the Fifth Sun’ – a teaser written across the bottom of the ‘Burning Down an Empire’ shirts. That theme was later re-explored. Anyways, we were ecstatic with how it turned out [with Tony], so we started booking regular sessions, recorded a couple one-offs [together] and before we knew it ‘Ghosts’ was haunting our catalog. Tony moves efficiently. He’s got a really good pulse on modern music and tones. Moreover, he’s extremely helpful, understanding and fair. We’d always see each other at these Father/Daughter dances…so, overtime, we found a permanent home with The Deep End studio. That said, I still had a great dynamic and friendship with John Grant, so when I first started recording the We Love the Underground albums, I enjoyed working with both John and Tony. The cool thing is, Tony has a lot of the We Love the Underground presets in his keyboard, so having him out LIVE is always a pretty simple transition. I’d expect the same opportunity will exist with Skitzo Calypso. About a week ago, you shared a photo mock-up done by David Weston Gregory Jr., based on the original Join The Cult ‘Girl Afire’ artwork designed by Mike Sacrey. Does this indicate anything about the direction of the new album’s potential artwork? It does. She’s always represented a seductive muse – an irresistible attraction that draws us in and will inevitably destroy the lives of the people around us and inevitably lead to our own damnation if we don’t learn how harness it and keep our wants in perspective; this could be a worldview, a religion, a passion, a dream or whatever. We’ve already married themes from The Wizard of Oz and Alice in Wonderland into the writing of this work, so it seemed appropriate to bring her back. She’s kind of like our ‘Eddie’ [Iron Maiden]. In the mock-up, the Girl Afire is carrying court papers, and you’ve recently been embroiled in quite a legal debacle yourself. To summarize your situation: a rapper in California issued a trademark complaint against your use of one of the words in your band’s name, and said you couldn’t use it any more, to the point that CD Baby wasn’t willing to support you. Can you tell us more about what has occurred with that since we last spoke, as Skitzo Calypso is obviously moving forward? Right now, we’re going through the process(es). We’ve secured a common law trademark in the State of Maryland and have applied for a federal mark. It’s all relatively asinine. It just shows how petty people can be. And, we figured, well, whatever, we’ll do our due diligence; still, the individual is following us around the web and trying to block our registration. The irony is, I chose the name [in 1996] because it seemed ridiculous that anyone would ever challenge it or want anything like it – it’s not like I called the band a derivative of ‘Earth’, ‘Wind’ or ‘Fire’ or ‘Black’ ‘Stone’ or ‘Cherry’. 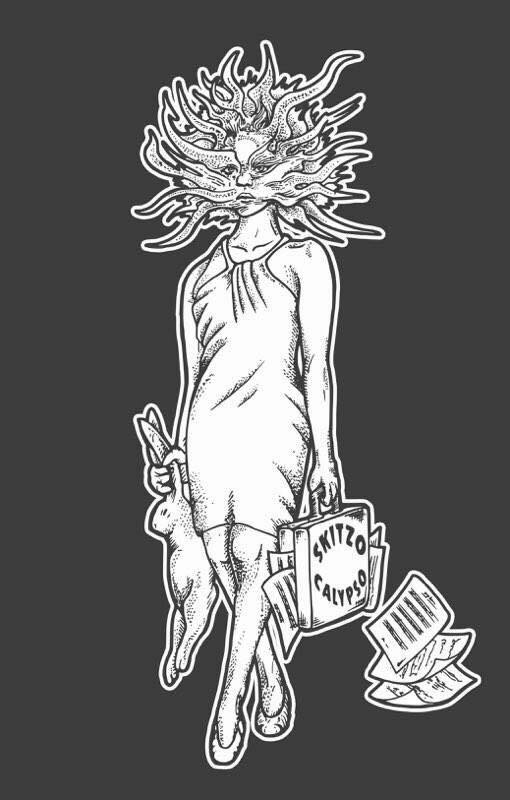 Truth be told, Skitzo Calypso is not a great band name – it’s a marketing faux pas – but, it’s our band name [all the same]. Plus, in 1996, people weren’t really using Google to search for the availability of band names. To give this perspective, this individual was 7 when our first record dropped. Plain and simple, they didn’t do their homework. To this day, there is still only one Skitzo Calypso in the marketplace. Meanwhile, there are literally 100’s of rap, rock, metal, DJ, punk artists, etc. running around with some variation of said ‘word’ in their name and this individual acknowledges that – yet, it’s been used as the sole catalyst for challenging us. It’s like, ‘So it’s our fault you knowingly chose a generic name for your project and lack the slightest bit of common sense to think that that might make it difficult to cut through in the digital age?’ It would be one thing if it wasn’t so common and we hadn’t existed for 22 years, but it’s all rather short-sighted. Why? Well, whether this individual succeeds in having our music yanked from various online platforms [because they can’t arbitrate] or blocking our trademark, it isn’t going to erase our digital footprint – over two decades of videos, blogs, reviews, past show listings, free streaming services, etc. won’t just magically disappear. I guess, what’s more, what’s the point? You’re a local artist. In this game, you win more bees with honey. If the person was savvy, they’d try to find a way to network. Plus, if your fans/friends aren’t buying your records, it’s certainly not because of us [or the laundry list of similar bands out there] – it’s because your product isn’t in demand or your marketing is poor. That may be a bitter pill to swallow, but it’s the reality of it. But, it’s cool, I lived in Hollywood – I get the mindset. But, wait, aren’t we all stars in god’s sky? Please. Just ridiculous – all of it. To go out a little into left field, Skittles: When did that start and what is it all about? That started in about 2006ish. It was just this thing that happened – I suppose because of the ‘Skit’ and ‘Skitzo’ part of the band name; that, and because I’d made it publicly clear that it was my favorite candy. Over time, people started bringing bags of Skittles to shows and tossing them on stage – some bands get roses, we get hard candies. Is there anything else fans should have on their radars? Well, Joe Ruggiero and I had started a project called The After Midnights. But, when we finally got around to releasing the material we quickly realized that time wasn’t on our side. He’s got his bands – I’ve got mine. I think, at some point we’ll see that project get longer legs. It generated a ton of interest in a short period of time. And, it’s cool, it’s a poppier departure from some of the other projects and something I feel has a lot of potential. While the spotlight here is certainly on Skitzo Calypso, I’d be remiss if I didn’t mention another effort which has taken up much of your time. We Love the Underground is on hiatus, and a wonderful compilation called The Skeleton Key is now available with some previously unreleased material. I’m really curious to know: Is there any update as to the status of this other great band?